The Salina South and Salina Central rivalry is the type of game that would draw a huge crowd no matter when it was being played. But having two of the top teams in Class 5A open district competition against each other adds significance to this already heated rivalry. 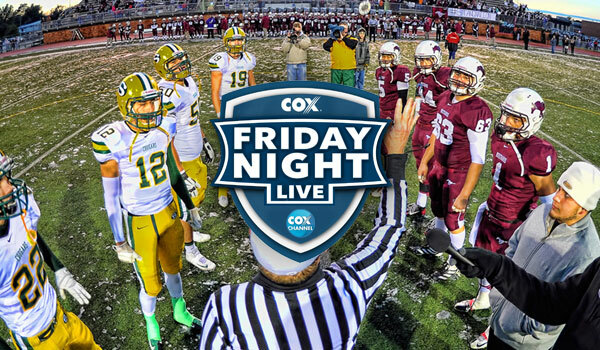 The Cougars and Mustangs will face off in this week’s edition of Friday Night Live. The Ark Valley Chisholm Trail – I matchup will kick off at 7 p.m. Friday. It will be televised statewide on Cox Channel Kansas. It will be re-televised at 7:30 p.m. Oct. 19 and 7 p.m. Oct. 21. Broadcaster Mark Ewing will be joined in the booth by former Salina Central and Kansas Jayhawks standout Jake Sharp, as well as Salina South athletics director and former head coach Ken Stonebraker. Leon Liebl will report from the sidelines. Salina South (5-1) is ranked No. 3 in Class 5A, while Salina Central (4-2) sits just outside the top five of the Kpreps.com poll. Salina Central will be looking to end a three-game losing streak to its rival. The Cougars rumbled past Salina Central 55-27 last year, but the games have traditionally been close. Salina South edged the Mustangs 23-20 in 2012 and 44-41 in 2011. Salina Central last won the rivalry game in 2010 with a 31-28 victory. Salina South dropped its first game of the season this past Friday with a 45-14 loss to defending Class 6A state champion Derby. The two teams were tied at 7 at halftime, but Derby exploded for 38 second-half points. Quarterback Dalton Wassenberg, who is 6-foot-6, directs the Salina South offense. He has completed 54 of 94 passes for 997 yards with 14 touchdowns and three interceptions. He also has rushed for 203 yards and eight touchdowns. Junior Dylan Becker has been Wassenberg’s favorite target with 22 catches for 550 yards and eight touchdowns. Salina Central enters on a four-game winning streak. The Mustangs opened the season with losses to Lawton, Okla., (49-3) and Derby (35-14), but bounced back to beat Maize (29-28), Goddard-Eisenhower (37-15), Haysville Campus (49-0) and Hutchinson (27-12). In the win over Hutchinson, Salina Central running back Dalton Peters rushed for 209 yards and three touchdowns on 38 carries. He also caught three balls for 65 yards. For the season, the 5-foot-8, 171-pound Peters has rushed for 1,127 yards.